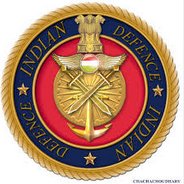 Indian Army invites applications from married/unmarried MALE and unmarried FEMALE Engineering Graduates for also from widows of Defence Personnel for Grant of Short Service Commission (SSC)in the Indian Army in all Arms / Services. 47th Short Service Commission (Tech) Men and 18th Short Service Commission (Tech) Women Course (Oct 2016) commencing in Oct 2016 at Officers Training Academy (OTA), Chennai, Tamil Nadu. The Online Registration open from 9th December 2015 and close on 8th January 2016. 1) SSC (Tech)-47 Men and SSC (Tech)-18 Women : 20 to 27 years at the time of commencement of course. Born not earlier than 02 Oct 89 and not latter than 01 Oct 96 (both dates inclusive). 2) For widows of Defence Personnel with four years age relaxation - SSCW (Non Tech) - 19 to 29 Years. Born not earlier than 02 Jul 87 and not later than 01 Jul 97 (Both dates inclusive). Pay Scale: The candidates will be given a stipend of ₹ 21,000/- p.m. During Training. On completion of training Pay Scale is ₹ 15,600/- as pay in Pay Band plus Grade Pay of ₹ 5,400/-. Educational Qualification: Candidates who have passed Engineering Degree or are studying in the final year of Engineering course, are eligible to apply. Shortlisting of Applications - Integrated HQ of MoD(Army) reserves the right to shortlist applications and to fix cutoff percentage of marks for each discipline without assigning any reason. Only shortlisted eligible candidates depending on the cutoff percentage will be interviewed at Selection Centres, Allahabad (UP), Bhopal (MP) and Bangalore (Karnataka) by Psychologist, Group Testing Officer and Interviewing Officer. Call Up letter for SSB interview will be issued through candidate's registered e-mail id and through SMS. Candidates will not be interviewed locally. Allotment of Selection Centre is at the discretion of DG Rtg, IHQ MoD (Army) and no request for changes are entertained in this regard. Interviews will be held in May/Jun 2016 onwards. Candidates will put through two stage selection procedure. Those who clear Stage I will go to Stage II. Those who fail in Stage I will be returned on the same day. Duration of SSB interviews is five days excluding day of arrival and details of the same are available at official website. How To Apply: Candidates must submit only one application. Online Registration available on www.joinindianarmy.nic.in from 09-12-2015 to 08-01-2016 up to 17:00 Hours. For enquiries Contact Telephone Number - (011) 26173215 (between 2PM to 5PM Monday to Friday). Address:- Directorate General of Recruiting, AG's Branch, IHQ MoD (Army), West Block-III, R.K.Puram, New Delhi-110066.